As the sole company in the home medical industry that offers a complete product line, Invacare is proud to provide bariatric equipment, wheelchairs, disability scooters, and respiratory products, among many others. Invacare’s products are geared towards offering patients the best quality of life possible in their homes, no matter their medical condition. These products include bathing aids, respiratory therapy products, mobility aids, and furnishings. They are all designed to increase comfort and provide convenience and efficiency for caretakers and their patients. Invacare is in the business of helping people live life better through medical products that aid in recovery and allow for active lives. 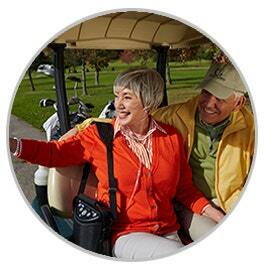 Invacare products can be found in a variety of long term care facilities and private homes. The company seeks to offer only the best in medical aid products through innovative design that focuses on efficiency. Invacare was born in 1885 from the Worthington Company, which produced a line of mobility devices for those with physical disabilities. The company has grown a lot since then and has its headquarters in Elyria, Ohio, employing more than 6,000 people. Among Invacare’s many innovations are a power chair controlled via microprocessor, split-spring beds, and the HomeFill Oxygen System. Invacare products are used in 80 countries and the company owns 30 separate factories. Throughout its network, the company demonstrates a commitment to sustainability and conservation of natural resources, while still remaining profitable. Serving over 25,000 independent and long-term medical care providers, Invacare offers an amazingly large array of products. Respiratory products by Invacare have been recognized and awarded for their quality and the convenience that they offer to patients. The Invacare HomeFill Oxygen System is one such product. It allows patients to fill their own oxygen cylinders, reducing costs and eliminating the need for most cylinder tank deliveries. Invacare is also at the top when it comes to stationary oxygen concentrators. Their Platinum line of concentrators provides unparalleled reliability and excellent performance. It makes an excellent alternative to liquid oxygen systems. Available in both the standard and SensO2 oxygen sensor-included model, both models come with a three year warranty and can be easily used with the HomeFill II filling system. 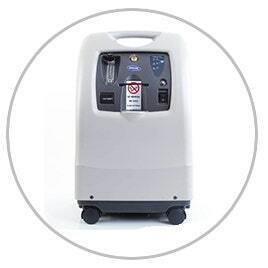 The Perfecto2 is an exceptionally light, compact, quiet, and energy efficient home oxygen concentrator unit. Its reliability and efficiency make it an excellent choice for any supplemental oxygen-requiring patient. Invacare also demonstrates its commitment to providing patients with the freedom to lead active lifestyles with the SOLO2 Transportable Oxygen Concentrator and the XPO2 portable oxygen concentrator. These devices allow excellent portability through energy efficiency and quiet operation. Additionally, Invacare also provides nebulizer and aerosol devices, compressed oxygen, conserving mechanisms, storage cylinders, pulse oximeters and stationary oxygen-delivering products. Invacare offers comfortable yet functional medical beds, furnishings, and accessories. These high quality products also feature excellent durability. Wheelchairs, power scooters, and other powered mobility products from Invacare are always constructed for quality, efficiency, and durability. The best in manual wheelchairs, walkers, and manual mobility devices always come from Invacare. Both athletes and individuals trust the quality of their construction. Patient transfer devices are all about ease of use and convenience. Invacare provides this and more with their line of lifts and slings. Offering patients the ability to take care of their own person hygiene, Invacare also manufactures quality grab bars, shower, commode, and bath products. These promote patient independence and increase quality of life. Invacare also provides a variety of wound care, pressure relief, and back medical aid products for the absolute pinnacle of patient care.